Many Marvel superheros were dreamed up in Hewlett Harbor and Mineola. Audiences at the multitude of internationally popular Marvel Comics movies might well believe that their impressive lineup of superheroes were born on some farflung battlefield, in a gamma-ray infused radiation burst or in the mythic halls of Asgard. But in truth, many of these dimension-spanning titans were born in a backyard in Hewlett Harbor and in a basement art studio near Mineola. 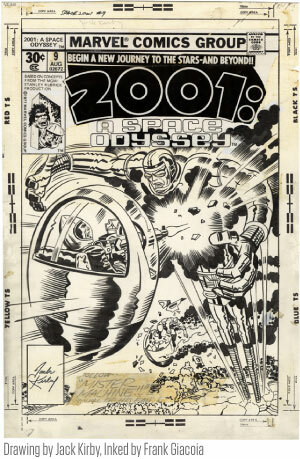 Kirby had been a prolific comics contributor since before World War II and Lee was an editor and writer at Marvel for nearly the same duration. By the time these characters debuted, the two creators had also been Long Islanders for over a decade. In fact, most of the ideas that came from the first several years of Marvel were almost exclusively a native product. Lee was raised in upper Manhattan and graduated from DeWitt Clinton High School (the same school that, incredibly, produced Batman originators Bob Kane and Bill Finger and the man behind The Spirit, Will Eisner). In 1949, Lee and his bride, Joan, bought a home in Woodmere. Three years later, blessed with a daughter, they shifted a few miles east to Hewlett Harbor. In Hewlett Harbor, Lee liked to take off a day or two a week from Marvel’s Manhattan office to devote to his writing. His favorite pastime in the warmer months was to type at a specially-engineered bridge table on his South Shore terrace—the table had been modified to accommodate Lee’s quirk of writing while standing up. Kirby had his own peccadilloes, often drawing for 18 hours at a stretch in a room his family called “the dungeon.” He would go to New York City to drop off assignments and to discuss plots with Lee for upcoming issues. Lee and Kirby, along with artist Steve Ditko and others, jointly developed the “Marvel Method.” This consisted of Lee, or another author, supplying his artist with a story outline. Some of these were embryonic, just a single sentence, and others were more like film treatments, detailing layout suggestions and story summaries. The penciller would then fully plot and draw the issue and return it to the writer for scripting, narration, dialogue, dramatization and exposition. This process often generated new ideas as the scribes were inspired by the art boards before them, adding further revisions to address the developing storylines. Even at the height of Marvelmania around 1970, the fact that Lee and Kirby lived on Long Island was generally unknown even though Kirby did at times welcome fans to visit his studio. One group of stalwarts must have gotten the thrill of their young lives when they biked to Lee’s house, uninvited, and were graciously welcomed into the inner sanctum to watch Lee write, standing up, while fielding questions from his surprise guests. Meanwhile Marvel’s Long Island roots grew even deeper. Centereach resident Don Heck took over as artist for The Avengers in 1964 and helped create the characters Hawkeye and Black Widow in addition to helping Lee, Kirby and scripter Larry Lieber (Lee’s brother) conceive Iron Man and his alter ego, Tony Stark. 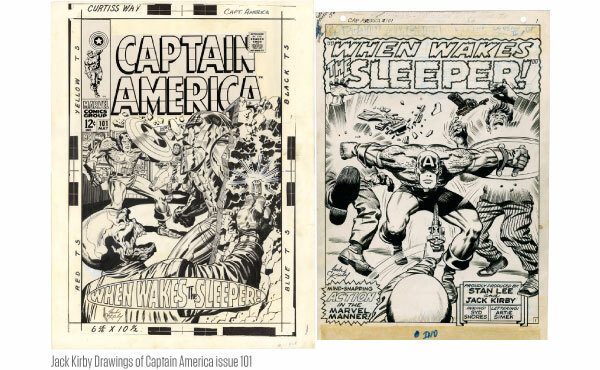 Port Jefferson’s John Buscema followed Heck on The Avengers in 1967 and his style, built on the groundwork laid by Kirby, soon became Marvel’s virtual house style. 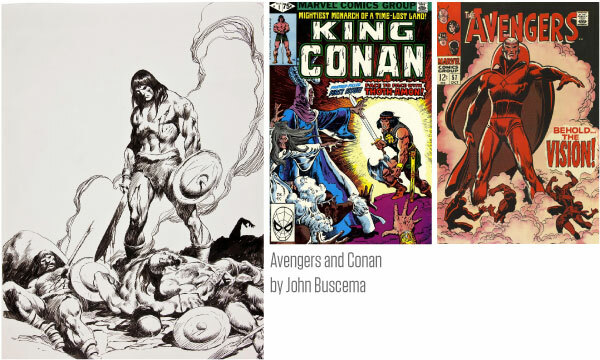 Buscema, who would go on to draw for Thor and the Conan titles among others, expanded his influence in 1978 when he co-authored How To Draw Comics The Marvel Way. The book was massively popular and long-lived—especially in public libraries—and helped mold the early ideas of a generation of would-be comics creators. 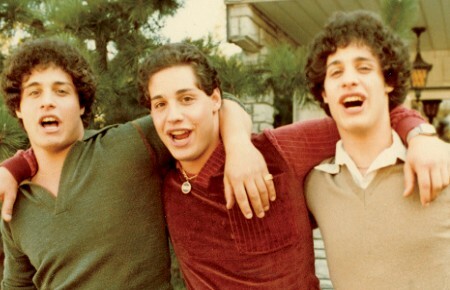 Writers and artists were not the only members of the holy trinity of comics creation who called Long Island home. Inkers—the genre’s most misunderstood talents—also lived here. An inker receives a penciller’s finished assignment and embellishes it using a variety of special pens, brushes and inks. Pencils can vary between being extremely tight and almost “camera ready,” to the roughest of breakdowns, barely indicating the characters’ emotions and the desired action. A skilled inker can elevate a pedestrian effort to the level of a wonderful rendering—razor sharp and defined or shadowy chiaroscuro. The best inkers try to keep to the penciller’s intent, elaborating only where the mood, story or design require. 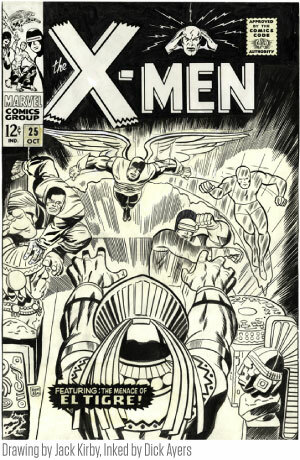 Marvel inkers who lived on Long Island included East Meadow’s Frank Giacoia (as “Frank” and “Frankie Ray” in the era when some artists used pen-names), George Rousos (George “Bell”) from Central Islip, George Tuska of Hicksville and Mike Esposito from Huntington. Another major Marvel talent was Spider-Man artist John Romita from Bellerose, who went on to become Marvel’s longest-tenured art director. 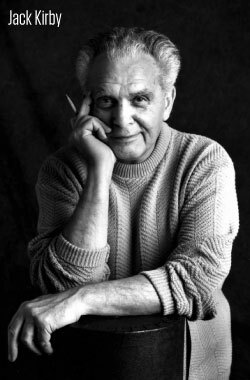 John’s wife, Virginia, also worked as traffic manager for Marvel, and the couple’s son, John Romita Jr., would become a comics superstar who worked on Spider-Man and The X-Men. With so many Marvel minds living and working on Long Island, it’s no wonder some of their characters established homes and bases here as well. The Fantastic Four had a rocket base on Long Island and two of its members—siblings Sue and Johnny Storm, the Invisible Girl and the Human Torch, lived in the fictional Long Island village of “Glenville” during the early 1960s. Tony “Iron Man” Stark had a high-tech facility in nearby Flushing Meadows, Queens, and also a research complex on the Island. Scientist Hank Pym—who secretly served as Ant Man, Giant Man and Yellow Jacket—also had a local lab. But this era did not last forever. 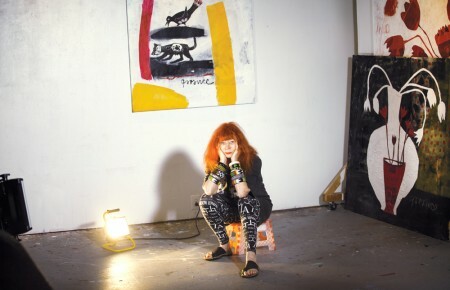 Kirby moved to Thousand Oaks California in late 1968 because doctors suggested one of his daughters needed a warmer environment and Lee exited a few months later for a condo in Manhattan. (He also later went west to Los Angeles where he worked on developing Marvel’s Hollywood presence.) Both Lee and Kirby were quoted as saying they enjoyed living and working in a peaceful and friendly environment. Actually, in his memoir, Excelsior, Lee said he could work longer and with greater concentration in his Long Island home than he could in his Manhattan office, adding that during the Long Island creative sessions writing didn’t feel like such a solitary occupation. One of the most idyllic images of childhood is that of a youngster reading a comic book by the shade of a tree. 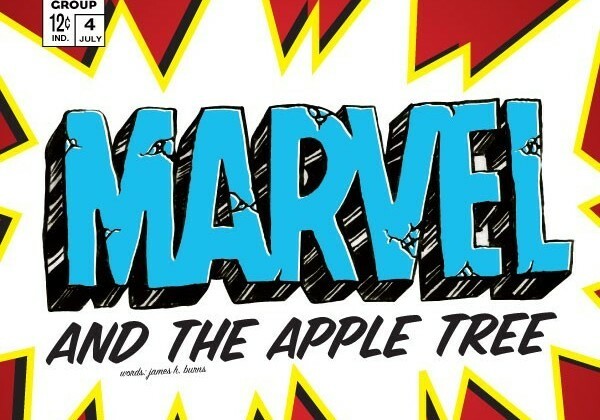 As a new generation encounters Marvel superheroes for the first time, it’s riveting to remember that this potentially everlasting realm of the imagination sprang from the fertile soil of our own backyards. Learn about some of the current comic creators from Long Island.